We have seen in a previous post that the attempt to publish Zhivago in Poland in 1957 was successfully blocked by the Soviet authorities. One will have to wait until 1983 for a publication of the book inside Poland. But the 1983 publication is the outcome of a Polish edition that came out in Paris in 1959. Let us see in more detail how all these publications came about. “I take advantage of the opportunity to convey a question that has been raised with a certain urgency. Mr. Gustav Herling, Polish by birth and writer, the husband of a daughter of Benedetto Croce, came to see me today to enquire whether you would be willing to grant to the publisher “Kultura”, located in Paris, the rights for the publication in the Polish language of Doctor Zhivago. The publishing house “Kultura”, according to what Mr Herling told me, was founded in 1948 by a group of leftist (mostly Socialist) Polish émigrés and survives without external support. The publishing house maintains very intense contacts with Polish culture. They publish a journal (with the same name) that circulates rather freely in Poland where it is the target of constant mention and criticism on the part of the official press. 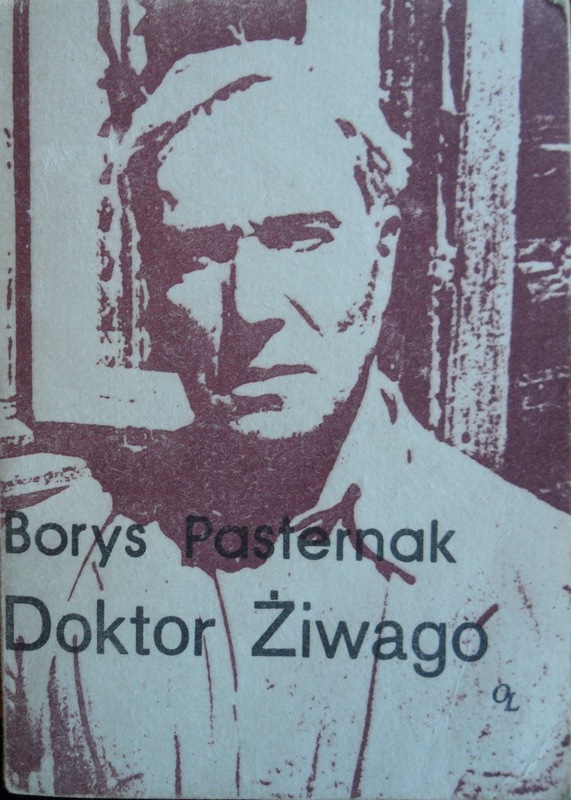 Having learned that the idea of publishing Doctor Zhivago in Poland has been decidedly abandoned as a consequence of the attitude taken by the Soviet authorities on the Pasternak case, the publishing house “Kultura” deems it appropriate to take charge of the project by publishing two or three thousand copies of the novel that would be distributed to Poles leaving abroad and to those that live in Poland but have occasion to travel to Paris. Of course I told Mr. Herling that I could only convey his proposal and considerations to you. And since I have been asked to ask you for a reply I brought up the issue now as I don’t know when you will be back in Milan. In case you will favorably receive Mr. Herling’s request, he would also ask you for the most favorable financial conditions, for the publisher “Kultura” seeks no financial gain from this project since they plan to distribute the majority of copies free of charge. 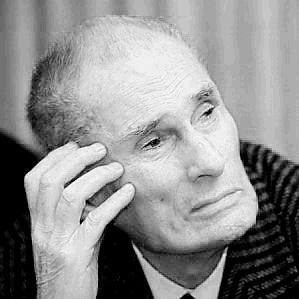 Gustaw Herling (1919-2000) had already gained international visibility as the author of A world Apart: The Journal of a Gulag Survivor (1951) which had been published with a preface by Bertrand Russell. He was married to Lidia Croce. Feltrinelli gave the permission and the Polish Zhivago was published in 1959 in Paris under the aegis of the Instytut Literacki (volume 44 of the publisher “Kultura”) and printed by Édition et Librairie “Libella” in 2500 copies. 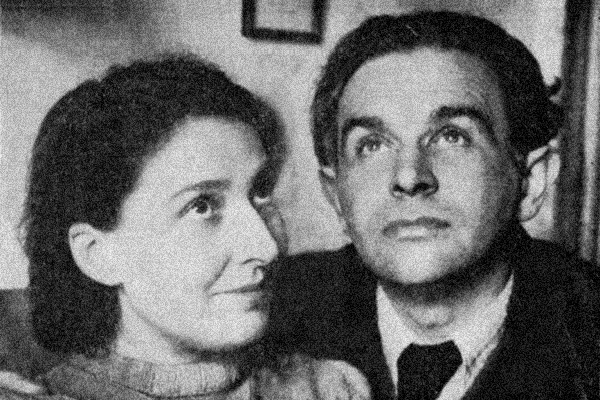 The translator was Paweł Hostowiec (aka Jerzy Stempowski). 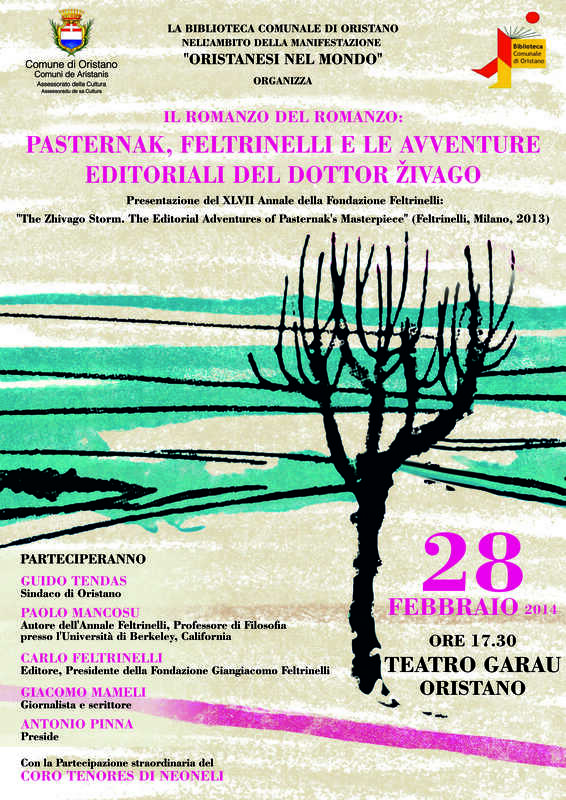 The edition carries the Feltrinelli copyright and the accompanying editorial remark says: “We thank all those who helped publish ‘Doctor Zhivago’ in Polish, in particular Mr. Giangiacomo Feltrinelli, the Milan-based publisher who transferred to us without charge the copyright for the Polish edition, the Congress for Cultural Freedom in Paris that paid for the translation, Mr. Charles E. Merrill, Jr. of Boston (USA) for financial assistance, and all those who bought the subscription, in total 2500 copies, of the book” (original in Polish). As it became clear much later, the Congress for Cultural Freedom was funded by the CIA (see Stonor Saunders 2000) and thus there is something amusing in this joint partnership of Feltrinelli with a CIA funded organization. As it is clear from the conversation that Herling had with d’Angelo, part of the plan was to bring Zhivago back to Poland using visits to Paris of residents in Poland. How successfully was the attempt? An answer to this question requires a much broader analysis of two factors. The first concerns the changing levels of censorship and customs controls between 1959 and the early 1980s and, secondly, one must consider the importing of Zhivago into Poland as only one instance of a gigantic program that went under the name of “book distribution program”. 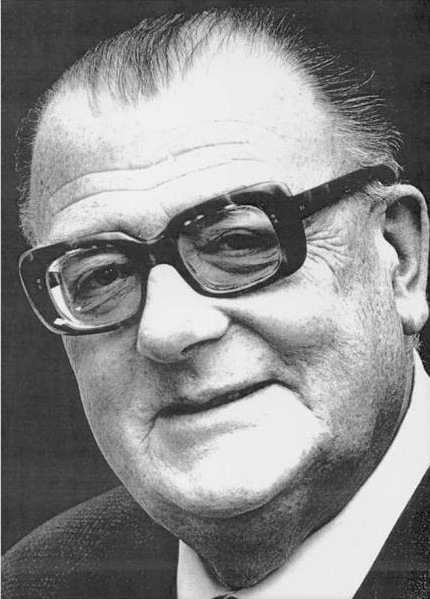 The latter program, run by George Minden, was one of the most successful CIA run operations of the Cold War. Fortunately, we now have a wonderful treatment of the matter in the book by Alfred Reisch “Hot Books in the Cold War. The CIA-funded secret western book distribution program behind the iron curtain” (Reisch 2013). Using the reports written by George Minden between 1956 (year of the inception of the program) till 1973 (the reports from 1973 until 1991, the year of the dismantlement of the program, have not been located), Reisch provides a detailed analysis of the kind of books that were sent to Eastern Europe with a country by country analysis (Poland, Czechoslovakia, Hungary, Bulgaria, Romania, Estonia, Latvia, Lithuania). In many cases the books were not blocked by the censors but did not arrive to the addressee because they were simply pilfered at the post office and resold at high prices in the black market. In addition to the mail program, there was also the person to person distribution program, which exploited the presence of visitors from Eastern Europe to Western Europe for conferences or other events to hand out free copies of books that were then brought back to their countries. Sailors, sportsmen, students, clergymen, (and in one case even a zoo director, see Reisch, p. 236), and all other kinds of visitors were given free copies to bring back home. In 1958 “a visiting horse-jumping team [visiting Italy from Poland] with their own rail-trucks with horses took over 70 books and hid most of them in the hay” (Reisch, p. 240). The Seventh World Youth festival held in Vienna from July 26 till August 4, 1959, provided a wonderful opportunity for the person to person distribution program (it is estimated that in 10 days the total number of copies distributed to Polish delegates exceeded 5000 copies, see Reisch, pp. 241-242). The event was a communist-organized propaganda event that was exploited by the book distribution program to its advantage. Immensely valuable are also the letters, extracts of which are given in Reisch’s book, that many of the recipients of the free books sent often providing important information about the censorship operating within their country (both in the mail distribution centers and at the boarder) and their reaction to the books they received. 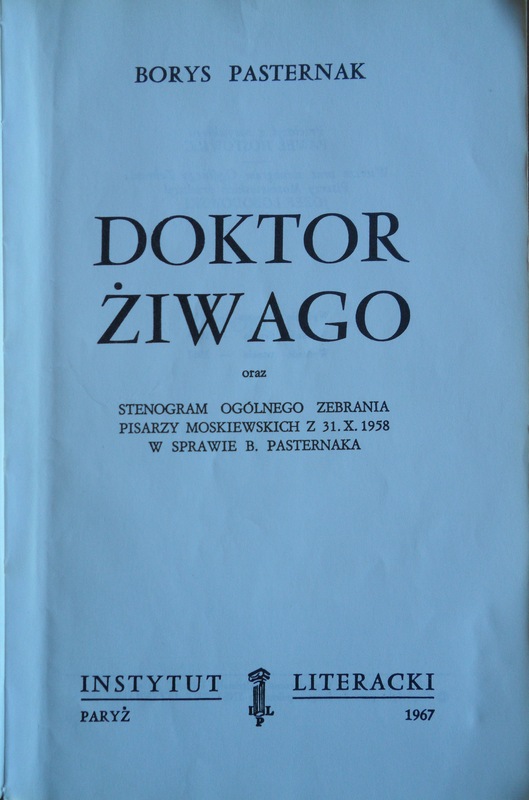 Doctor Zhivago figures as one of the most requested books in Poland and other Eastern European Countries (“Dr. Zhivago was one of the most coveted books among East European readers” (Reisch 2013, p. 35)). Even a leading member of the Sejam (Polish parliament) asked distributors abroad for a copy of Doctor Zhivago! (see Reisch, p. 97, note 14). While copies in French and English had to be smuggled to the remaining Eastern European Countries, as of 1959 in Poland one could send the version in Polish produced in Paris. Poles were at times stopped at customs and their copies of Zhivago were confiscated by the customs officers. 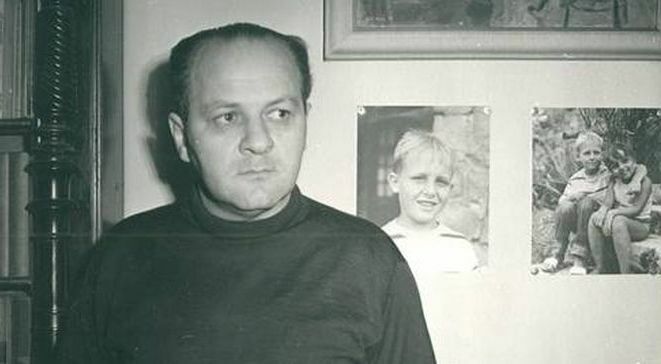 There is for instance a letter from Jan Nowak to Jerzy Giedroyc dated 17 July 1961 in which Nowak informs Giedroyc (long standing chief editor of “Kultura”) that Polish visitors returning from Paris to Poland were stopped at customs and that copies of the journal Kultura and Doctor Zhivago have been confiscated. Then Nowak added that someone else who came back to Poland a few days earlier said that it was becoming more and more difficult to bring a copy inside the country. (see Platt 2001, p. 253) The letter bears witness to how the publication abroad was being smuggled into Poland and to the different levels of censorship that affected Poland in the period between the 1950s and the 1980s. I refer to Reisch’s book for more details. Regardless, the stenographic record was included in the Polish edition that came out in 1983 in the midst of the new political atmosphere in Poland. The edition came out under two different formats. Both formats contain a four page introduction (Introduction to the national edition) by Andrzej Drawicz and the transcription of the stenographic record appears on pp. 501-542. Apart from these differences and the covers, the translation and the page setting of this 1983 edition are like the one for the edition published by Kultura in 1967 although the format is smaller in size. [Added on February 13, 2016]: Of great interest in connection to the topic of this post is also an article that was recently brought to my attention by Dr. Jan Dierick, whose helpfulness is gratefully acknowledged. The reference is: Zdzislaw Kudelski “Gustaw Herling-Grudziński, Jerzy Giedroyc, Listy o Pasternaku, podał do druku i oprac. Z. Kudelski, „Zeszyty Literackie”, 2011, nr 116, pp. 159-173”. The Russian translation (“Nowaja Polsza” 2011, nr 9 (133), pp. 8-18.) of this publication is available on the Novaya Pol’sha-website (click here). 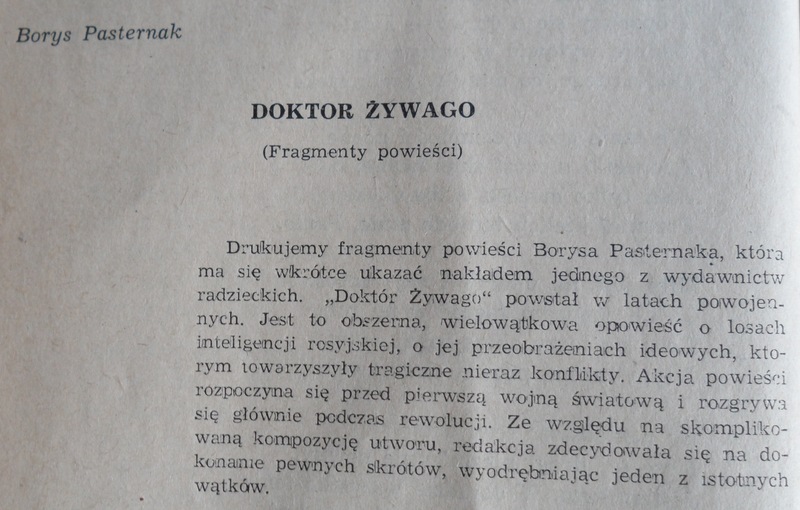 The article contains passages on Pasternak and Doctor Zhivago excerpted from the correspondence exchanged between Giedroyc and Herling-Grudziński between 1957 and 1959. Among the topics discussed are the Polish translation of Doctor Zhivago, Fedecki and Ripellino’s negative evaluation of Doctor Zhivago, and the contacts with the Feltrinelli publishing house through d’Angelo. This entry was posted in Uncategorized on November 4, 2014 by paolomancosu. 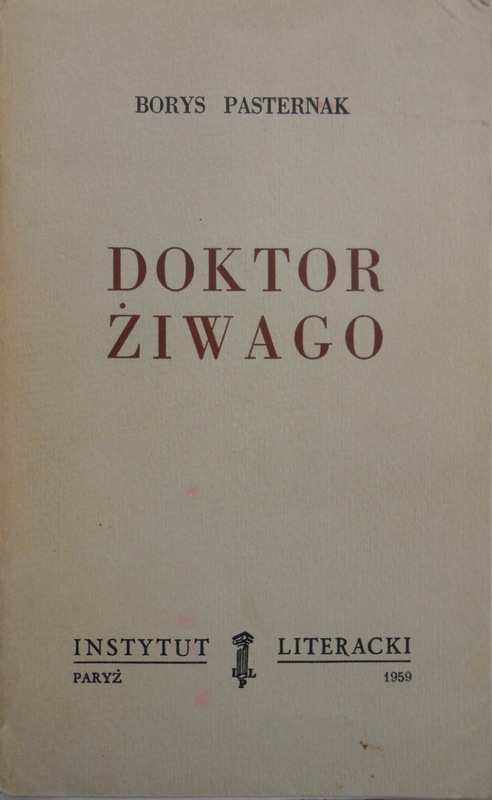 While the first complete edition of Doctor Zhivago came out in Italian in November 1957, the first extensive excerpts from the novel came out in Poland in August 1957 in the journal Opinie, a literary quarterly that had been founded with the aim of presenting Polish readers with the most interesting recent developments in Soviet literature. The editorial board consisted of Ziemowit Fedecki, Wanda Padwa, Seweryn Pollak, and Andrzej Stawar. The excerpts from Doctor Zhivago were translated by Maria Mongirdowa. 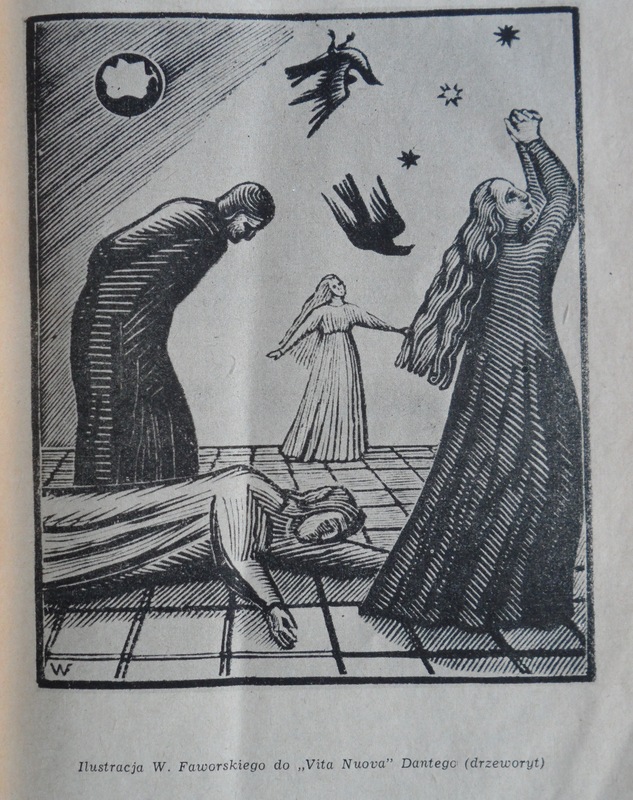 The published passages were illustrated with beautiful drawings by Włodzimierz Faworski. This issue of Opinie also contained selections from Mandelstam, Tsvetaeva, Yashin, and Babel. The extensive selection published in Opinie (about 30 pages) indicated that a full translation of the book was being undertaken. Interviewer: – Actually, how did you meet Pasternak? Fedecki: We went to Peredelkino with Jerzy Pomianowski and Zivov, a translator from Polish. Zivov was his friend, Pomianowski was publishing an anthology of Russian poetry and had some business [in going], and I just really wanted to meet him. Already at the beginning Pasternak said: “Stalin, this bandit…” We heard a snap – Zivov fainted. Pomianowski, who graduated from a medical school, told us to put him on a couch. Later it turned out that Zivov fainted every time Pasternak talked about Stalin in the presence of unfamiliar people. He was afraid that the foreigners, unaware of anything would tell in Moscow what the poet was saying about the leader and that the powers that be would use him as a witness. He didn’t want to hurt Pasternak, so he fainted not to hear anything. But since you know Fedecki, address your request to him. Unfortunately, I do not have his address; otherwise, I would have written to him myself. Ask him to somehow find a way to get the manuscript to you; he has a copy of the complete text. I would have been less upset by a complete miscomprehension and misunderstanding of all my work than his being blindsided by argument of precaution, concerns about my well-being, and his complete blindness about what is idling on his bookshelf without any utility for anyone. 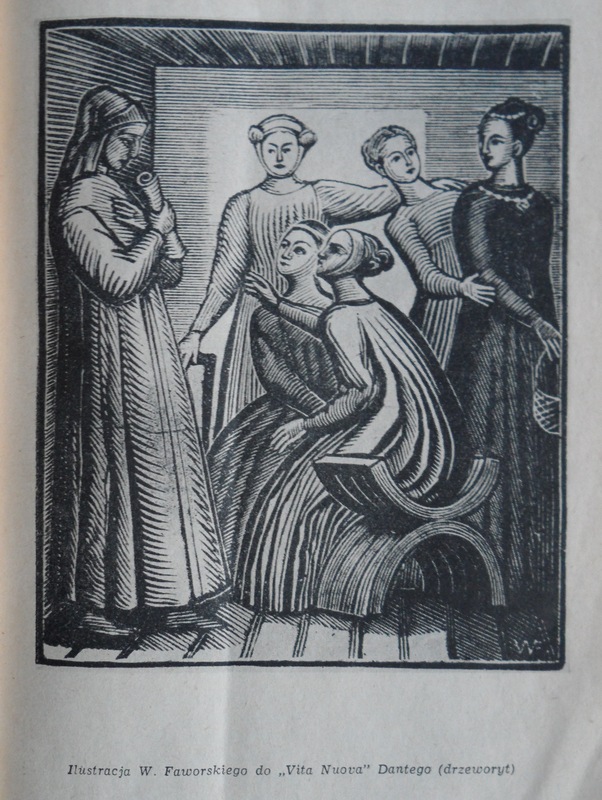 A drawing by Faworski (from a cycle on Dante’s Vita Nuova) used to illustrate the excerpts of Zhivago in Opinie. This must have been in 1946 when the novel was still unfinished. 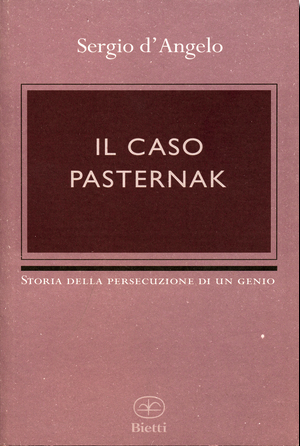 But in 1956 Pasternak gave Fedecki the finished product. And contrary to Pasternak’s suspicions, the typescript was not idle. Interviewer: I browsed the first issue of the quarterly Opinie. Apart from Pasternak, there were quite a few authors at that time prohibited in USSR: Babel, Mandelstam, Tsvetaeva. How come this could appear in 1957? Fedecki: – Diplomatic manouvers. We applied for funding at TPPR [Polish-Soviet Friendship Society], which later ran into troubles because of that. 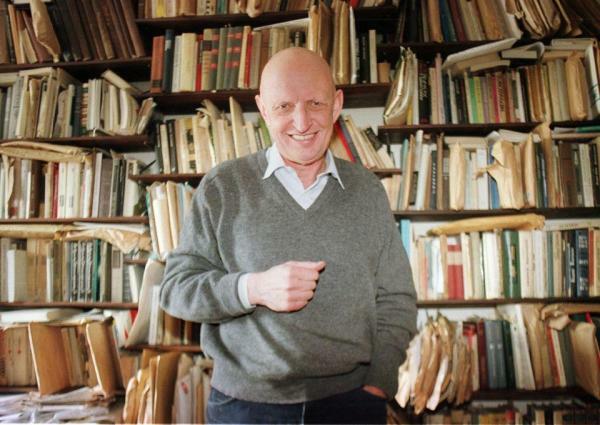 What’s worse, we started cooperating with Władysław Siła-Nowicki, who just got out of a UB [Polish Secret Police] prison – he reviewed books for us. But Opinie was the only periodic of TPPR that disappeared from news stalls in two days. Interviewer: – I can imagine the reaction in USSR. Fedecki: – Literaturnaia Gazeta published a piece “Whose opinions are these?” (Western revisionists’, they discovered). 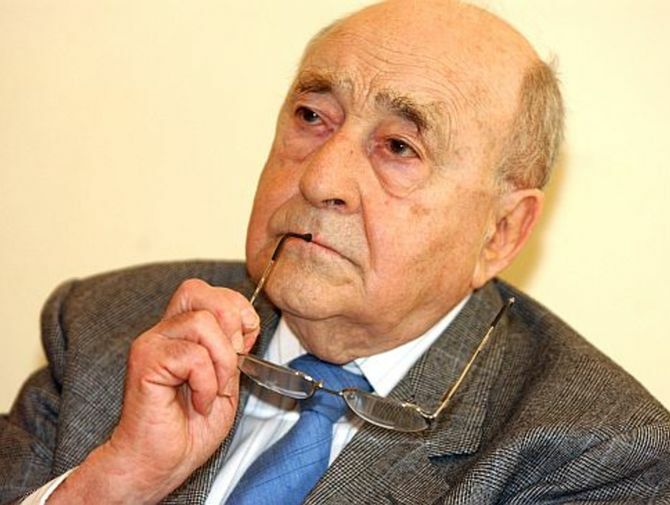 The eulogist of “a real man”, Boris Polevoi, petitioned for a “social” trial of the editorial board. They wrote about me that I’m a perfidious exhumator of pseudoliterature [Actually, this occurs in a second article published by Literaturnaia Gazeta, titled Trojan’s horse, where one finds Polevoi’s attack against Fedecki]. For a long period I was not sent to Moscow, they stopped inviting me for movies at the Russian embassy. Opinie appeared only twice, but in the second issue the censorship’s interference was so strong that with Pollak we refused to sign it. 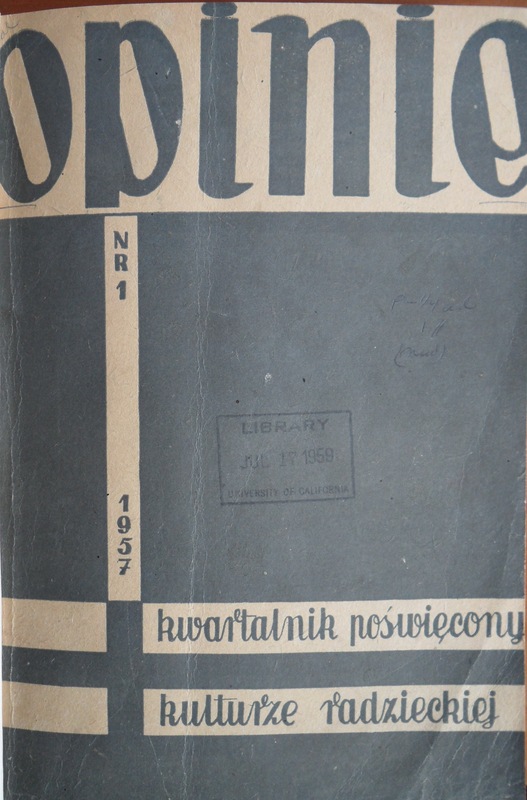 Krakow’s weekly Zycie Literackie [Literary life] of August 18, 1957 gives news of the beginning of publication of a quarterly journal titled Opinie [Opinion], dedicated to issues of Soviet culture. The first issue has just been released. Judging from the selection of works published in this first edition, the quarterly Opinie has a direction hostile to us. Under the pretext of informing “in all honesty”, the editors have taken the course of publishing books which contain “questions of painful historical revisions” and praising ideologically corrupt books, which come under sharp criticism in our country. Among the works of Soviet authors published in the journal we find Yashin’s Levers as well as excerpts of the unpublished anti-Soviet novel by Pasternak, Doctor Zhivago. Given the foregoing, the Department of Culture of the Central Committee would consider it necessary to charge the Soviet ambassador in Poland to draw the attention of our Polish comrades to the unfriendly nature of the journal Opinie and to suggest to them, in a suitable fashion, that a critical statement on the part of the Polish communist press regarding the positions taken up by the journal Opinie, as well as the suspension of further publication of Pasternak’s work, would be received very favorably by Soviet public opinion. It will also be prudent to recommend to the Secretariat of the Soviet Writers’ Union and to the editorial board of Literaturnaia Gazeta to organize, as soon as they will have received the quarterly journal, the publication of an open letter by a group of prominent Soviet writers that will subject to criticism the positions taken by this journal. And to send this letter to the Polish press for publication, including the editorial board of the journal Opinie. Awaiting instructions. Text of the telegram to the Soviet ambassador in Warsaw is enclosed. A note appended on September 30, 1957, written by B. Riurikov, deputy director of the department of culture, stated “The necessary measures regarding this issue have been taken”. And taken they were. A thirty-page summary of the contents of the journal, together with a copy of the journal, were sent to the Central Committee on September 7, 1957. Polikarpov sent a telegram to the Soviet ambassador to Poland and encouraged the ambassador to draw the attention of “our friends” to the “tendencies hostile to the USSR of the journal Opinie”. The telegram invited the ambassador “to make our friends understand that the Soviet public opinion would know how to value the suspension of the publication of Pasternak’s novel as well as a critical declaration on the part of the Polish Communist Press concerning the positions of the journal Opinie“. The ambassador did his job well, since Opinie was suspended. The vitriolic article already mentioned, titled “Whose opinion is it?”, appeared in Literaturnaia Gazeta of September 18, 1957 (there was also a second article in the same journal against Fedecki). Interviewer: A few people harboured a grudge against you, because you didn’t publish the whole of Doctor Zhivago. Fedecki: For God’s sake, it was mid-50s, there were no private publishers or secondary circulation. In the journal Opinie [Opinions] we could only publish part of the story, which we did one year before the Nobel prize and it was the first publication in the world. The translator, Ms Maria Mongirdowa, fell ill and died. I passed it on to Seweryn Pollak, who signed a contract with PIW [Panstwowy Instytut Wydawniczy]. In the West no one cared about the piece until Pasternak got the Nobel prize. And in Poland we couldn’t publish a book considered to be anti-soviet, whose author was expelled from the [Soviet] writers’ association. 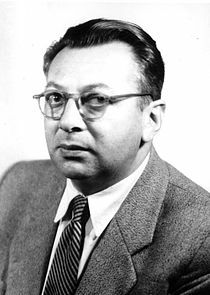 When they later called Pollak from PIW they were even afraid to mention the title of the piece: “Mr Seweryn, we have a contract with you for this piece, you know which one. Please do not refund us the advance, and in general, we won’t talk about it.” Perhaps, Herling-Grudziński [Gustaw Herling], who wrote that “Doctor Zhivago” did not appear because of Fedecki’s pettiness, has not heard of censorship in PRL [Polish People’s Republic], but a few people still remember it. It appears that the decision of the PIW was taken as a consequence of a memo circulated by the Polish Ministry for Culture and Art that forbade throughout Poland the distribution and the printing of texts of Soviet authors that were unpublished in the USSR. In addition, according to the editors of Pasternak i vlast’, the editors of Opinie were summoned to Moscow for the “necessary conversations”. And this sealed the fate of the publication of Doctor Zhivago inside Poland. But if publication could not be achieved in Poland, forces outside Poland soon began planning a Polish edition abroad. 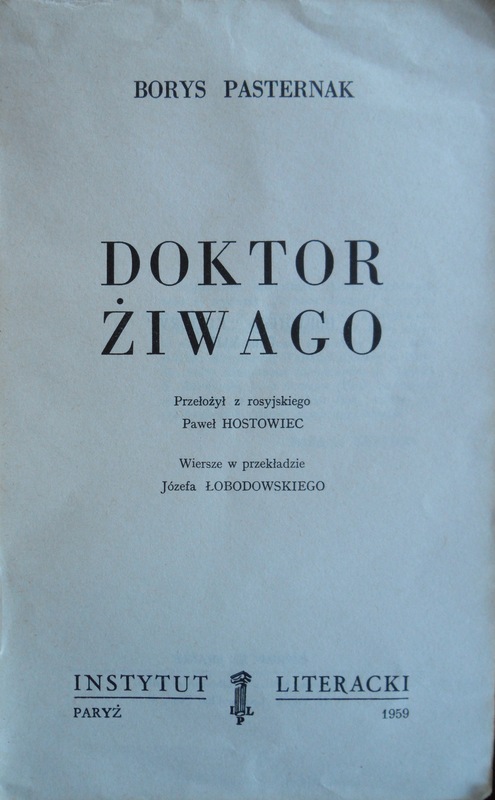 That story will be recounted in one of the next posts where I will present the history of the printed Polish editions of Doctor Zhivago. Afiani, V. I., Tomilina, N. G., eds., A za mnoiu shum pogoni: Boris Pasternak i vlastʹ: dokumenty 1956-1972, ROSSPĖN, Moskva, 2001. Le Dossier de l’Affaire Pasternak, Archives du Comité Central et du Politburo, Préface de Jacqueline de Proyart, Gallimard, Paris, 1994. Wójciak-Marek, M., [in Russian] Pasternak i Pol’sha: Pervaia publikatsiia Doktora Zhivago, in L. Fleishmann, ed. The life of Boris Pasternak’s Doctor Zhivago, Stanford, 2009, pp. 142- 155. This entry was posted in Uncategorized on October 8, 2014 by paolomancosu. In the summer of 2013, Guido Tendas, the mayor of my home town (Oristano, Sardinia), got wind of the forthcoming book and discussed with me the possibility of organizing a special event in Oristano. His idea was to combine the event with an award (“Stella d’argento città di Oristano”) that the city of Oristano now bestows on those citizens who have distinguished themselves in their careers. I was of course quite flattered but I also insisted that what we should offer in the first place was something of substance related to the book. It was soon decided that we should invite Carlo Feltrinelli as one of the speakers. In addition, we thought of adding to the program Giacomo Mameli, Antonio Pinna and, for the musical entertainment, the Tenores di Neoneli, one of the most well-known groups of tenores in the world (and personal friends, I should add). 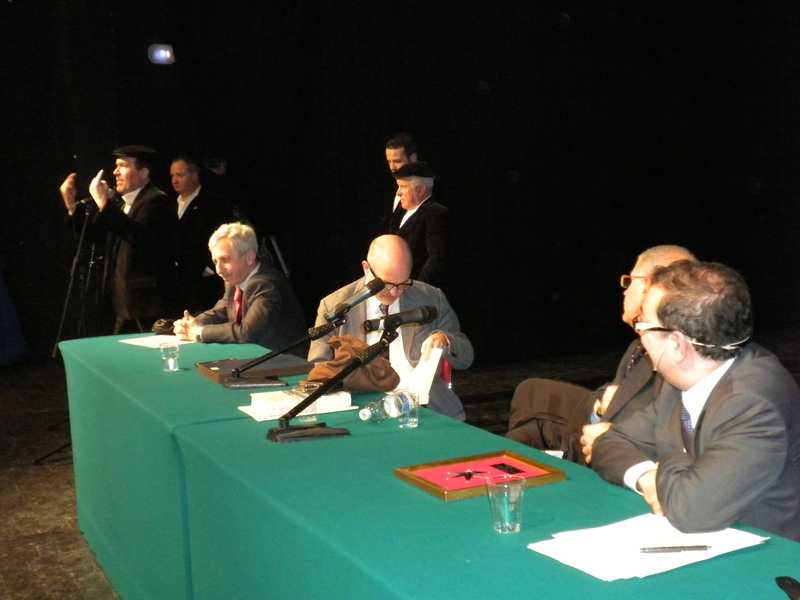 Everyone accepted and the event took place on February 28 at the Teatro Garau in Oristano. It was a touching moment for me. I saw friends whom I had not seen in many many years and this was a splendid occasion to renew old acquaintances and meet new people. The music of the tenores, with its centuries-old Mediterranean polyphonies was incredibly touching and sharing this moment with my family and friends made it very special. But the event also cemented my friendship with Carlo Feltrinelli, the inspirator and publisher of Inside the Zhivago Storm. More about him in a different post. I gave two more talks on Zhivago in spring 2014. On April 8, I presented the book at the invitation of Professor Stefano Garzonio in the Department of Lingue e Letterature Straniere at the University of Pisa. The other presentation was at the Center for Advanced Study in Munich on April 29. This lecture inaugurated the Berkeley lectures at LMU (Ludwig-Maximilians-Universität). Insight LMU (second issue of 2014, pp. 1-2) has a short article in English on the event (click here). For those who read German, the Münchner Uni Magazin devotes a three page article to it (no. 3, 2014, pp. 18-20; for a pdf of the issue click here). This entry was posted in Uncategorized on September 10, 2014 by paolomancosu. Pasternak described the story of the publication of Doctor Zhivago as “the novel about the novel”. One of the protagonists of that story is Sergio d’Angelo and my book, accordingly, devotes quite a bit of attention to his role. Most importantly, d’Angelo was the person who physically received the manuscript of Doctor Zhivago from Pasternak on May 20, 1956 and handed it over to Feltrinelli a week later in West Berlin. At the time d’Angelo was employed at the Italian section of Radio Moscow and was also acting as Feltrinelli’s literary scout in the Soviet Union. In late April 1956 he happened to read a piece of news from the central office of Radio Moscow announcing the imminent publication of Pasternak’s Doctor Zhivago. He made a note to himself in a notebook he used to keep a record of interesting publications to bring to the attention of the Feltrinelli publishing house (see picture below) . 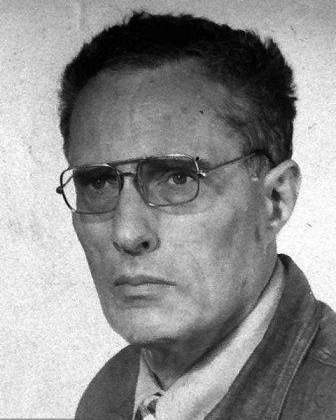 Having informed the publishing house about this possible scoop, he received the go ahead from Milan and went to visit Pasternak on May 20, 1956. It was the beginning of “the novel about the novel”. D’Angelo’s role in the story goes well beyond this initial encounter with Pasternak. He remained very close to Pasternak and Olga during his stay in Moscow and even after he went back to Italy (in December 1957). During 1959 and 1960 he was instrumental in the scheme, approved by Pasternak, to deliver some of the Zhivago royalties to Pasternak. This was done through couriers, usually members of the Italian Communist Party visiting Moscow. The last of these deliveries of rubles in August 1960 (hence two months after Pasternak’s death in May 1960), was ill-fated, because it gave the Soviets an excuse for prosecuting and condemning Olga and her daughter Irina to eight and three years, respectively, of hard labor camp. This led in 1961 to an international campaign in favor of the two women to which d’Angelo participated with an open letter to Surkov, Pasternak’s irreducible enemy in the Soviet Writers’ Union, and with a private letter to Khrushchev. I had tried to contact Sergio d’Angelo when I was writing my book but he had changed email and my attempt was unsuccessful. I was thus very happy when I got an email from him on January 18, 2014, in which he congratulated me on Inside the Zhivago Storm. This quickly led to an intense exchange of emails, for this was a splendid opportunity to clarify many things that I would have gladly asked him while I was writing the book. Quickly it was resolved that I should go and visit him in his town close to Viterbo, San Martino al Cimino. I went to visit him on February 22. In addition to being a most generous host, he had also prepared for me all the documents in his possession that related to his involvement in the Zhivago affair. 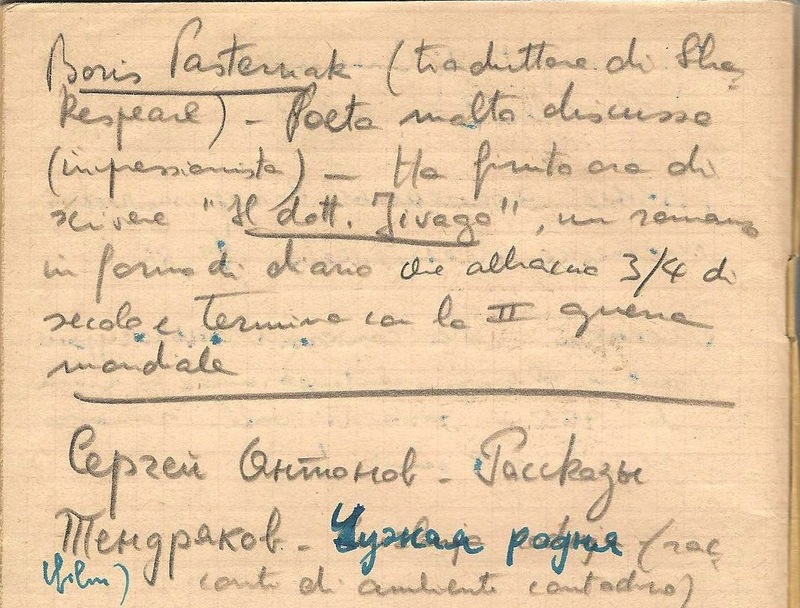 There were unpublished autographed letters by Pasternak and by Olga, drafts of d’Angelo’s letters to them, the notebook where he had jotted down the news of the impending publication of Doctor Zhivago, and many other important documents. I was thrilled and even more so as Sergio allowed me to take pictures of all these materials and to use them in my further research on the Zhivago story. We spoke for eight hours. We did not always agree on the interpretation of the events, but that was part of the fun, for while Sergio is a man of strong opinions, he also respects the fact that one might take different stands in interpreting such complex events as those that made up the odyssey of Zhivago. During my visit, he also brought up his desire to donate his papers to an international institution where scholars would be able to consult them. This he has since done by donating all his materials on the Zhivago affair to the Hoover Institution Archive at Stanford. Meeting Sergio d’Angelo was a delightful experience. Given his role in the Zhivago story, one can’t get any closer to the eye of the Zhivago storm. This entry was posted in Uncategorized on August 24, 2014 by paolomancosu. 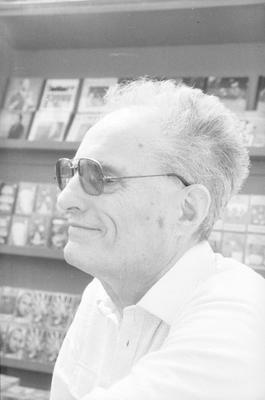 Given that the book was published by Feltrinelli, the Italian press was the first to review it. I will say more in a later post about reviews in the international press (such as the one in the New York Review of Books). Here is a list of the Italian reviews. They can be downloaded as a single file by clicking here. This entry was posted in Uncategorized on August 21, 2014 by paolomancosu. 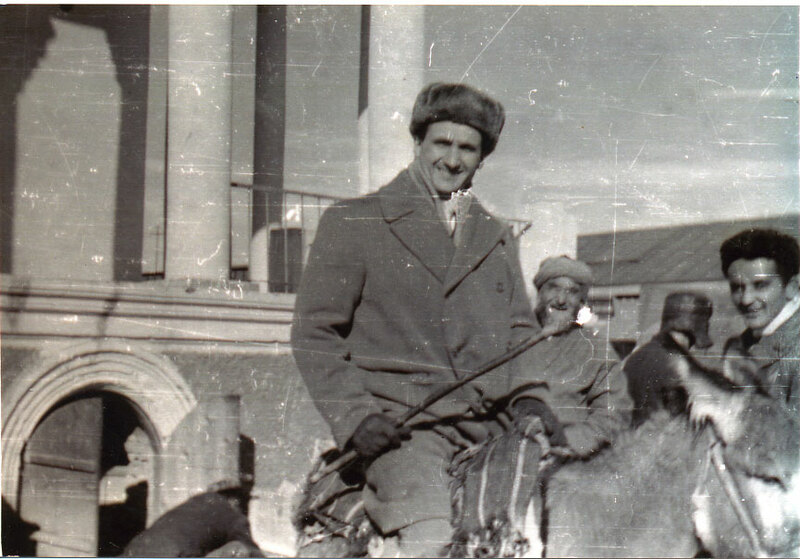 I often get asked how I got involved in writing a book on Doctor Zhivago. It all started with a lucky finding at Moe’s, a wonderful used bookstore in Berkeley owned by Doris Moskowitz. When Doris found out about the story she asked me to write something for Moe’s blog. You can read the original post (dated December 3, 2013) by clicking here but I will also report a shortened version of the text below, as you might enjoy the story (I hope I will be forgiven the use of “serendipidy” both in my previous post and in what I wrote for Moe’s back in December; but I think the events fully justify the repetition). As you will see the lucky find was a first edition of the Russian Zhivago published by the University of Michigan Press which I bought for $20. Once I told people at Moe’s the story, they put a yellow sticker on their computers saying: “Careful when pricing first editions of the Russian Zhivago”. Below is a picture of the second edition, which has an interesting dust jacket (the first edition did not have a dust jacket). I do not exaggerate when I say that Moe’s has been a key element of my Berkeley experience since the time I moved here in 1995. I cannot think of another used bookstore anywhere in the world, and I have visited many of them, that compares in quality to Moe’s. In addition to being a “trading zone” –namely a place where people with different languages, products and expectations interact and exchange goods and ideas – a constant renewal of the stock and fair prices keep bringing me back as a faithful customer. Of the many books I bought at Moe’s, the chance encounter with one of them in particular can truly be described as a case of “serendipity”. About three years ago I began studying Russian again, a language I had studied in the late 1980s and early 1990s but which I had not continued to practice on account of more pressing commitments. As I often do when I start a new project, I began buying some books in the area and this is how I stumbled, in November 2011, on a copy of Doctor Zhivago in Russian for sale at Moe’s. I paid $20 for it without knowing exactly what I was buying. Once at home, I decided to check on line booksellers just to get some information about the edition and its value on the market. I thus discovered that I had bought the first official edition of the Russian text published by the University of Michigan Press. I was stunned when I saw that some booksellers were selling it for $5000. Intrigued by the history of the book, I discovered that the first worldwide edition had come out in Italian in 1957 for the publisher Feltrinelli. 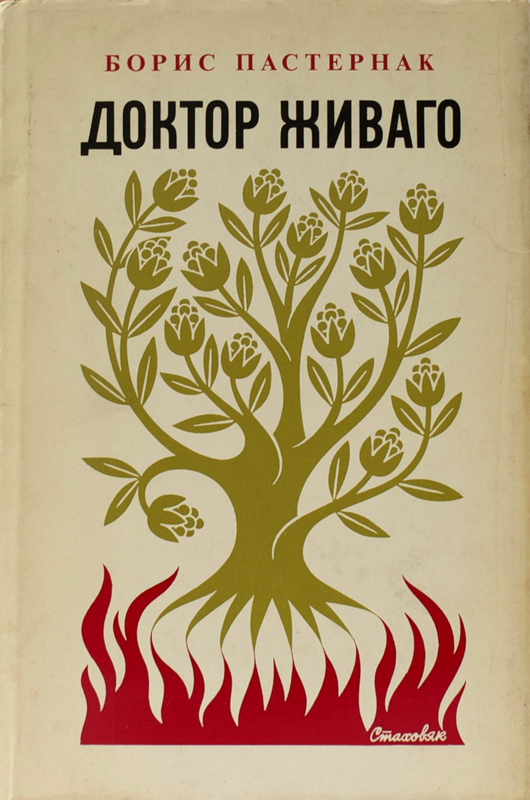 It was through an agreement with Feltrinelli, who owned the copyright for Doctor Zhivago, that the University of Michigan press had published the Russian text in early 1959 (the copy I had bought!). I thus began reading more about the publication history of Doctor Zhivago and the more I read the more I wanted to know. I was puzzled by a few aspects of the publishing history and my research became more serious, eventually leading me to work in American, European, and Russian archives. In the course of this research, I was also given access, for the first time, to the Feltrinelli archives in Milan, which were invaluable for reconstructing what is certainly the most complex literary-political case of the twentieth century. The publication history of Doctor Zhivago features Pasternak, Feltrinelli (one of the richest men in Italy at the time and a member of the Italian Communist Party), the Central Committee of the Communist Party of the Soviet Union, The Italian Communist Party, the KGB, the CIA, and countless other characters. All of this, and much more, is recounted in detail in my book “Inside the Zhivago Storm. The editorial adventures of Pasternak’s masterpiece” (Feltrinelli, Milan, 2013), which is the outcome of that serendipitous encounter with the Russian Zhivago at Moe’s. I offer the above comments as an expression of gratitude for Moe’s unique and irreplaceable role in our community.